I was born in December 1975 to a Catholic family in Pretoria, South Africa, with a Catholic history from both my mother’s Irish/English side and my father’s Dutch side. I have a younger sister, 4 years younger than I am. We were both raised Catholics, and are still active Catholics. My father is a retired land surveyor and town planner, my mother is a retired archaeologist with an interest in the later stone age, and my sister is studying plant genetics. I graduated as a medical doctor in 1999, and, in 2006, finished specialising in medical virology, a branch of the pathology field. My early search for explanations of religious matters began in depth when I was 13, and discovered a pile of Plain Truth magazines my father read for the different view of the world’s current affairs they contained. The first three issues I came across caused me a lot of concern – the Trinity, the state of the dead, and which days we should observe (Sabbath, Sunday, Christmas, Easter, Passover, etc.) Naturally, these caused some concern. I went in search of many different views, and after examining everything I could find in the Bible, the writings of early Christians, and in history books, as well as the views of Catholic teaching from many Catholic and non-Catholic sources, Seventh-day Adventism being a prominent source, I reached the conclusion that all these strange doctrines held by groups like the Worldwide Church of God (at that point I had not yet discovered the many WCG offshoots which I still find fascinating), Adventism, Mormons, and Jehovah’s Witnesses were not consistent with the Bible, historical evidence, and the way the early Christians of the first few centuries lived their faith. In the course of my investigations, I discovered the unpleasant world of anti-Catholicism. I encountered a lot of people who told me I was going to hell because I was Catholic, who claimed I worshipped the pope or Mary, that we believe we earn our way into heaven, and other such nonsense. Adventism, being one of the most vocal groups in the anti-Catholic community, became the initial starting point for a website effort after an eye-opening discussion with an Adventist about the little horn of Daniel 7. 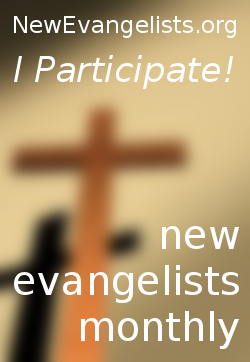 I felt that I could help a lot of people by publishing information on issues related to Adventism and Catholicism, and eventually expand into other anti-Catholic arenas, so that people could become aware of the misinformation being spread by the Church’s opponents. So far, it seems to have had a good effect, and helped many. My other theological interests lie in various Churches sui iuris of the Catholic Church. In 2001 I discovered the Maronite Catholics and the Syro-Malankara Orthodox. I currently prefer to attend Mass in the Extraordinary Form, aka the Traditional Latin Mass. Currently my aims for the website are to expand links to Western and Eastern Catholic and Orthodox resources, and also to address issues in general other anti-Catholic claims. like her, allow God to enter the world through them.Oh my God, I believe, I adore, I hope, and I love thee.I beg forgiveness for those who do not believe, do not adore, do not hope, and do not love thee.Oh Sacrament most holy, oh Sacrament divine, all praise and all thanksgiving be every moment thine. Oh Sacrament most holy, oh Sacrament divine, all praise and all thanksgiving be every moment thine. Immaculate Heart of Mary, pray for us.Lord Jesus Christ, Son of God, have mercy on us sinners. Oh most holy Theotokos, pray for us.